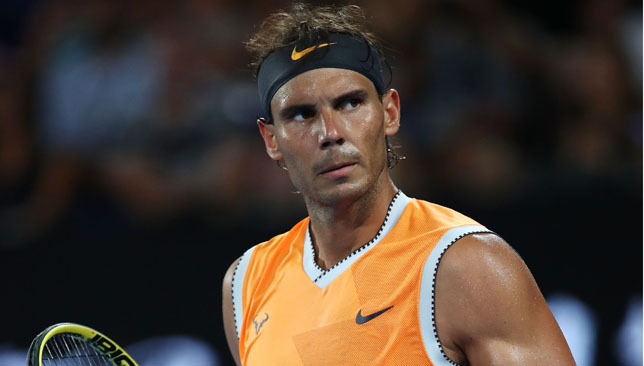 Rafael Nadal ended the Australian Open run of exciting young Greek Stefanos Tsitsipas in brutal fashion to reach his 25th grand slam final. Tsitsipas was looking to become only the third man after Juan Martin del Potro and Novak Djokovic to beat both Roger Federer and Nadal at the same slam but was firmly put in his place as the Spaniard swept to a 6-2, 6-4, 6-0 victory in just an hour and 46 minutes. Nadal will take on either Djokovic or Frenchman Lucas Pouille, who play their semi-final on Friday, in the title decider on Sunday. Nadal, for whom this will be a fifth Australian Open final, arrived in Melbourne having not played a competitive match since the US Open because of a variety of injury issues, and he said: “It has been a great match, great tournament. “I think I played very well every day. After a lot of months without playing, this court and this crowd have given me this unbelievable energy. Rafael Nadal hasn't dropped a set yet this #ausopen. He dropped serve twice, saving 14/16 break points he faced. He has won 81% of his first-serve points. He is averaging 32.8 winners per match. Tsitsipas’ run and the flair with which he has played has been one of the stories of the tournament, and Melbourne’s large Greek community were once again out in force to support their man. But opportunities to wave the blue and white flag were scarce, with Nadal getting off to a fast start and keep his foot pressed firmly down. The Spaniard usually reserves this type of bulldozing performance through a draw for the French Open but he has barely put a foot wrong since arriving in Melbourne and this was the best performance of the lot. Tsitsipas looked like he might have achieved a foothold when he recovered from 0-40 at 2-2 in the second set to hold serve with some fine attacking play. It takes courage to continue to push forward against Nadal but the Greek’s defences were breached again as the second seed broke for 5-4 before serving it out. By the third set, Tsitsipas’ belief that he could hit winning shots against his fearsome opponent had drained away and the end came swiftly. Nadal will now look to win his second title at Melbourne Park 10 years after his first. The 32-year-old has made the final three more times but lost once each to Djokovic, Stan Wawrinka and, in an epic battle two years ago, Federer. If he wins on Sunday, he will achieve something neither Federer nor Djokovic have managed by winning each slam title at least twice. Naomi Osaka celebrates after defeating Karolina Pliskova. 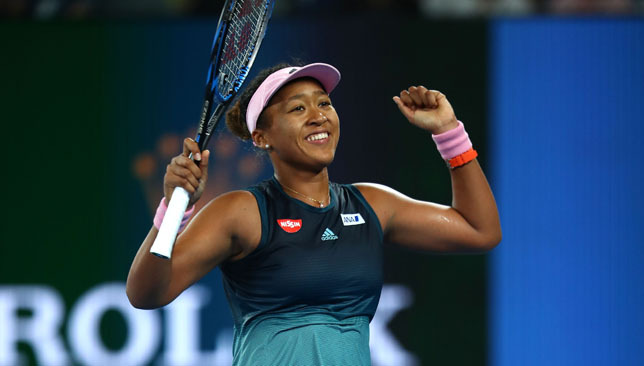 Naomi Osaka kept her hopes of winning back-to-back grand slam titles alive by dispatching Serena Williams’ conqueror Karolina Pliskova to reach the Australian Open final. Osaka produced a brutal display of power hitting under the roof on Rod Laver Arena, striking 56 winners in a 6-2, 4-6, 6-4 victory and will face Petra Kvitova on Saturday. The 21-year-old’s achievement makes her the first women to back up a first slam title by making the final of the next major tournament since Jennifer Capriati in 2001. 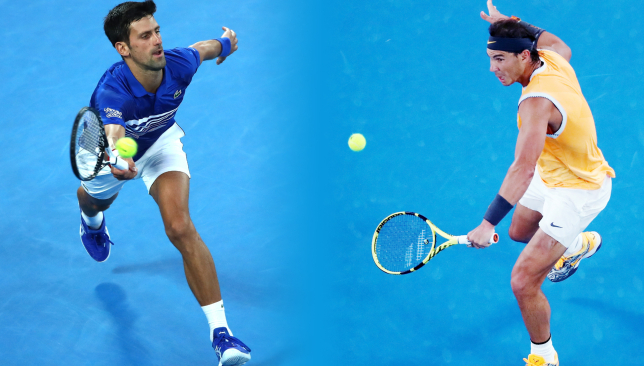 As well as the title, the world number one ranking will also be on the line on Saturday, with Kvitova and Osaka both looking to get there for the first time. Capriati followed her maiden title in Australia 18 years ago by winning the French Open and, if Osaka can maintain the form she showed in this match, then there is no reason why she cannot emulate that. Having survived tough battles against the unconventional pair of Hsieh Su-wei and Anastasija Sevastova earlier in the tournament, Osaka certainly looked more comfortable taking on a fellow ball-basher. And bash the ball she did, repeatedly into the corners, off both forehand and backhand, to win the first set. Osaka had won her previous 58 matches after winning the first set but – following her remarkable comeback to beat Williams – Pliskova would have known that no cause was impossible. Osaka broke serve again at the start of the second set but then gave it straight back with a poor game and slowly the momentum began to shift, the two women trading fiercer and fiercer blows. Osaka produced some fine play to hold off her opponent at 3-4 but two games later Pliskova broke to love to take the match to a decider. The 26-year-old, who reached her only slam final at the US Open in 2016, looked to continue her momentum at the start of the decider but Osaka saved three break points before playing a tremendous return game to move 2-1 ahead. Pliskova had one chance to get back on level terms in the eighth game but Osaka served an ace, and then another one – given by HawkEye – to clinch the victory.